← Chat Brass – We’ve Been At It Again! This is my last day at home before the Royal Liverpool Philharmonic Orchestra set off on tour to the Czech Republic tomorrow lunchtime. The RLPO have enjoyed two Czech Chief Conductors, Libor Pesek and Petr Altrichter, so as a result we have been regular visitors to that stunningly beautiful part of the world. 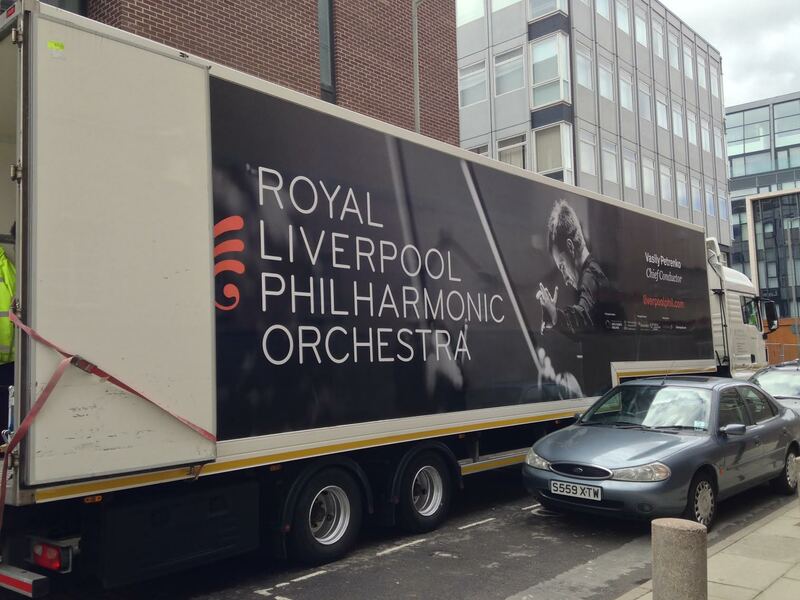 The RLPO lorry loading up to set off for Prague. We will be spending the first three nights in Prague before travelling to the home town of Leos Janacek, Ostrava, for one night. This concert is to be recorded for a deferred broadcast on Czech Radio. 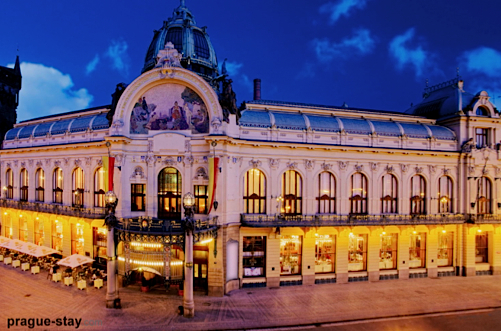 The Municipal House – known by all as the Smetana Hall. Wow! The interior of the Smetana Hall. 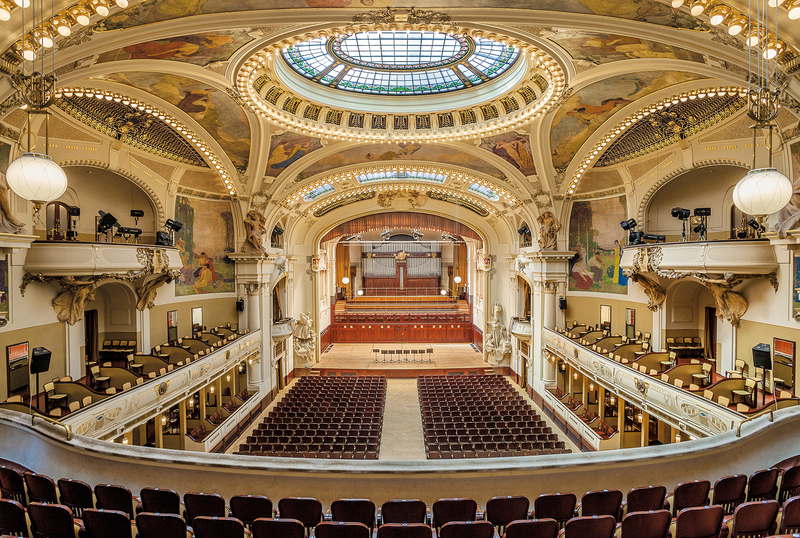 The Prague concerts will be in the spectacular Municipal House, known to us as the Smetana Hall. On our last visit we played in the Dvorak Hall. Our lodgings, the Hotel Prague, is an amazing half an hour walk away, just on the other side of the Vltava/Moldau and we have an evening free on arrival to enjoy one of my favourite cities before being reunited with our instruments to take our places for the world famous Prague Spring Festival. Vasily rehearsing the RLPO through the tour repertoire. 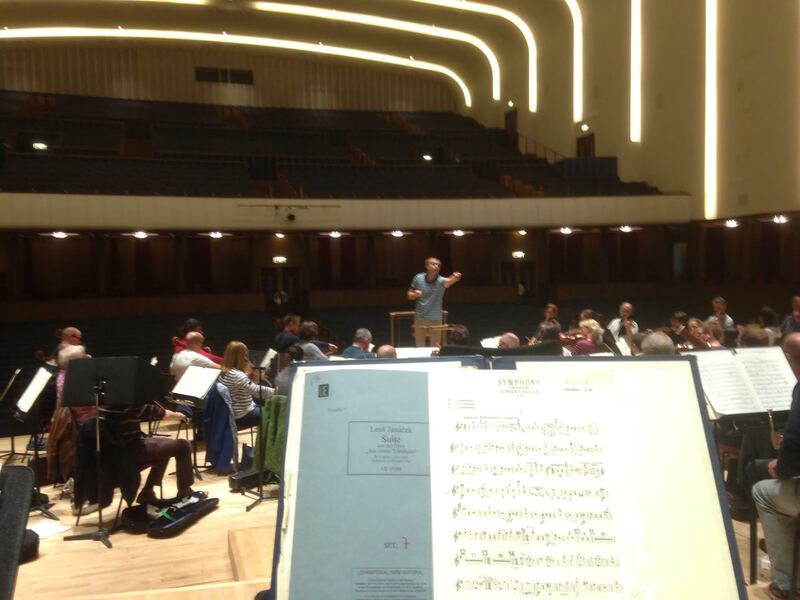 We have been rehearsing and performing the repertoire for the tour back at Philharmonic Hall over the last week. 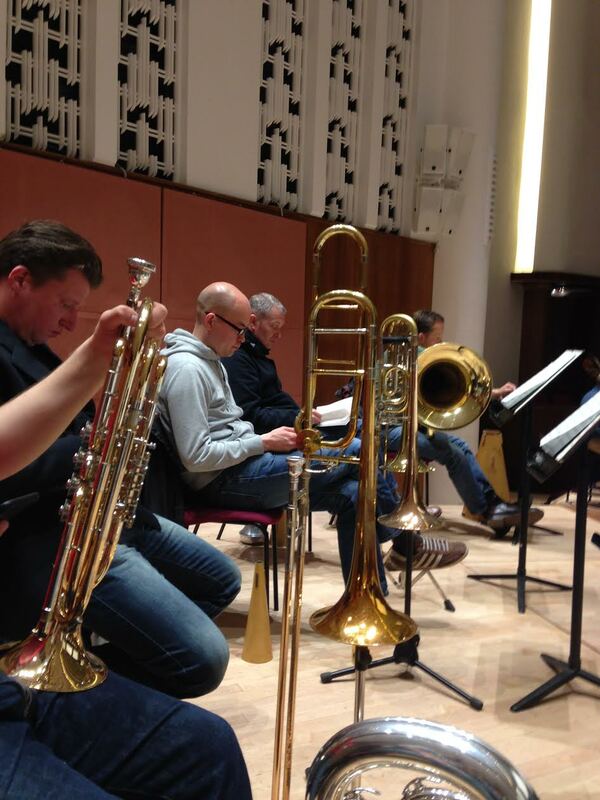 The RLPO trombone & tuba section are like coiled springs during the Czech Tour rehearsals. On Thursday we travel by train all the way across the Czech Republic to Ostrava. It has been a few years since the RLPO came here, playing the Sinfonietta by Janacek. We will be appearing at the City Cultural Centre to play in the Janacek International Music Festival. We leave for the return journey early on Friday morning, arriving back around seven in the evening. As per usual, I will be offering those interested a running commentary as the tour unfolds via this blog. Pictures of the local scenery, the food, the events, the concert halls, the famous beer etc, the music and all the events along the way. So, stay tuned and I’ll do my best to make you all feel like you are joining us on tour on a daily basis. Trumpet-wise, the section for the tour will be myself, Paul Marsden and regular extra Dave Hooper. 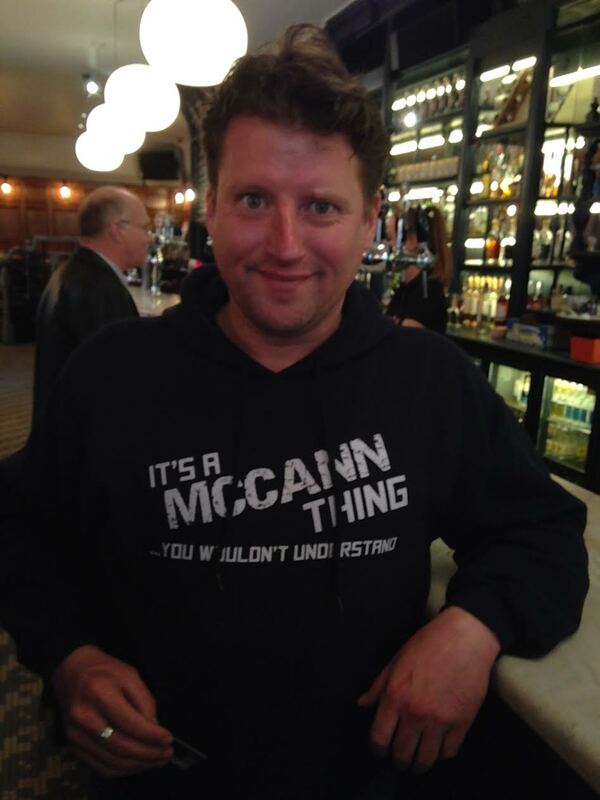 Our section leader Principal Trumpet, Rhys Owens, is indisposed for this trip. 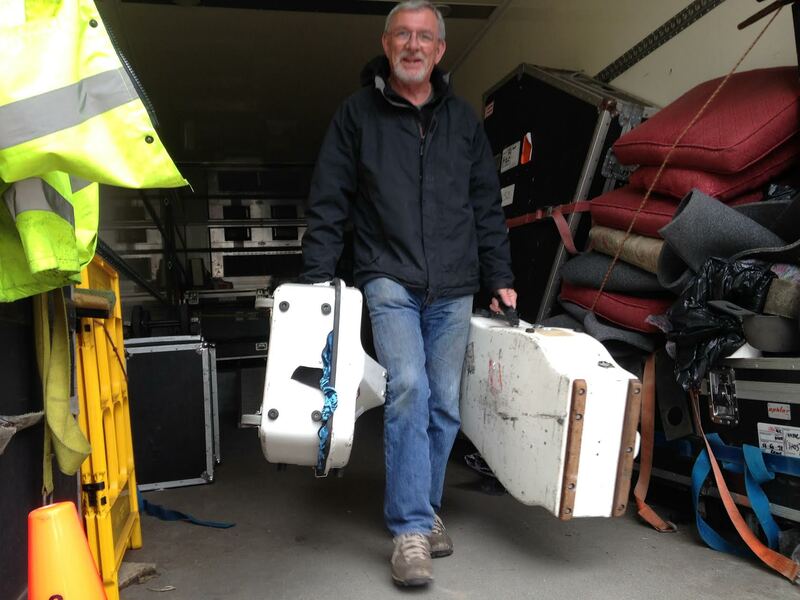 As already mentioned, our instruments and concert clothing etc have gone on ahead. Therefore, the tour has already begun for our two Platform Managers, Ian van Driver (his daughter was formerly known as Mini van Driver but she has grown taller over the years!) 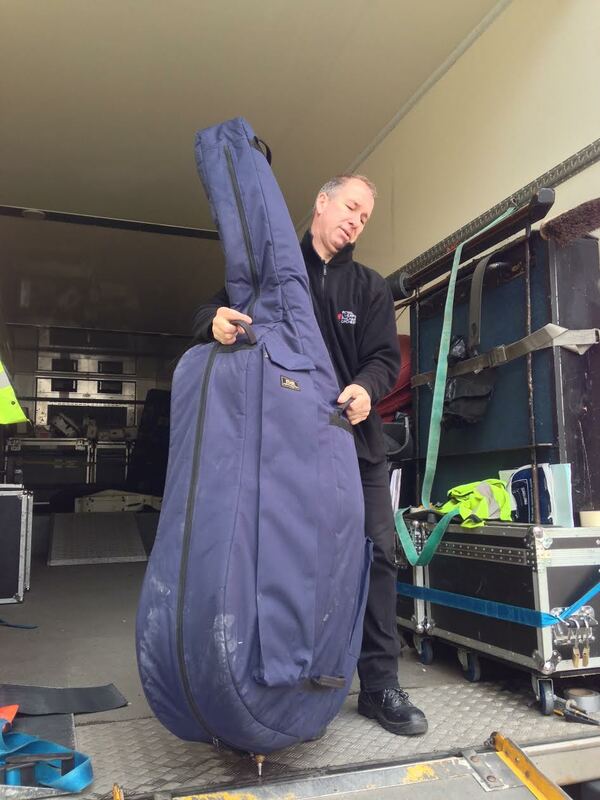 and Alan Scollins who have set off with the RLPO lorry two days earlier than the rest of us (via a night in Germany) to get everything ready in preparation for our arrival. 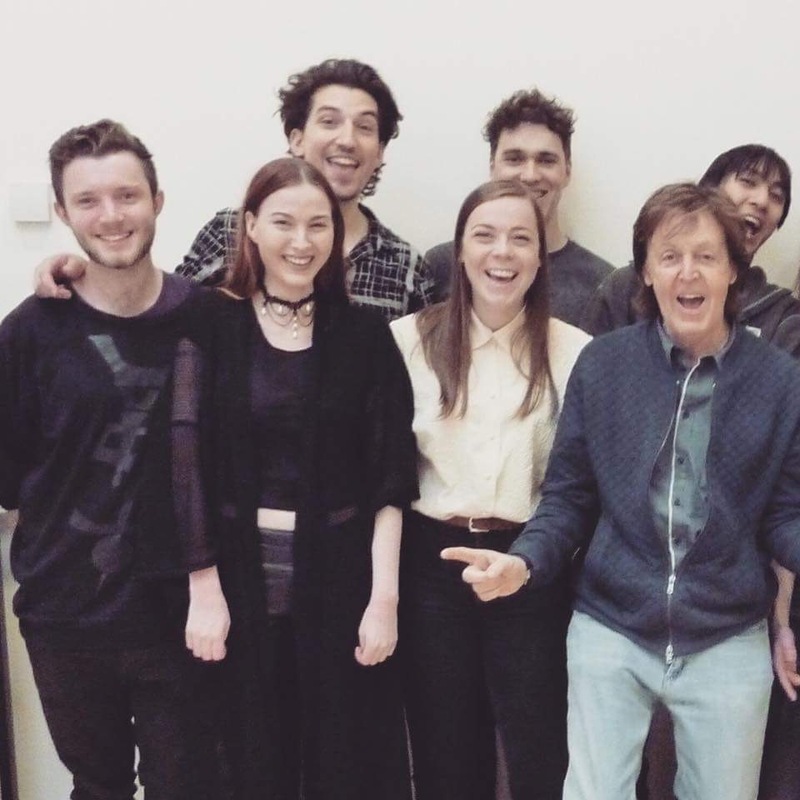 Meanwhile, back at home, my son’s rock band, Whitecliff, have been studying with Sir Paul Macartney this week, including some one-to-one songwriting sessions with the Liverpool legend! Jonny Ball – Far left – Sir Paul Macartney – Far right. CLICK HERE – THE RLPO ARRIVE FOR THE SPRING FESTIVAL – A FREE EVENING IN PRAGUE! This entry was posted in The Tour Blogs & Brendan's Solo Blogs and tagged 'Concerto', 'RLPO', 1 £, 2015, 7, Alan, berg, brahms, chief, Conductor, cowen, Czech, dead, doran, Dvorak, early, Elgar, Festival, from, Hall, house, ian, international, janacek, larsson, lewis, lisa, liverpool, municipal, Music, no., of, orchestra, orchestral, ostrava, Paul, Petrenko, philharmonic, piano, Prague, royal, scollins, simon, Smetana, songs, soprano, spring, suite, symphony, the, tour, Vasily. Bookmark the permalink. 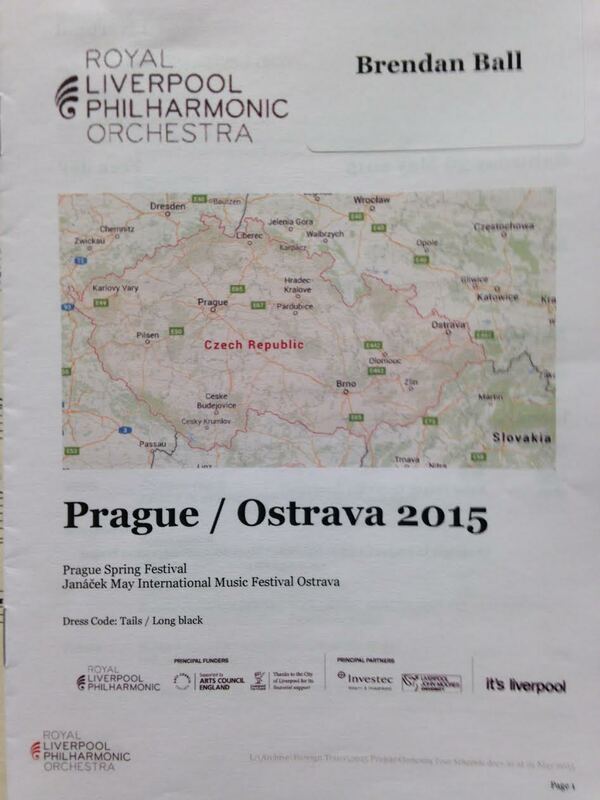 5 Responses to RLPO – Czech Republic Tour – June 2015 – Preparing To Go! Fantastic, Brendan. Happy days! Fond memories. Give my love to Libor – I’m sure you will see him in Prague. Tell him Kim and I are planning a visit later in the year. Great blog post, Brendan. I hope you enjoy your little (muted) ‘moment of glory’ in the middle of Berg’s early song, Die Sorglichen!!! Oh, my apologies! I thought you were ‘Section Leader’! Well, I am sure you would enjoy it if you were playing it, anyway! All the very best to everyone in the orchestra for tomorrow night. All fingers and toes crossed for a spectacular concert! Chris, I was section leader for the tour but the third trumpet played the Berg Songs. Your arrangements were very successful.